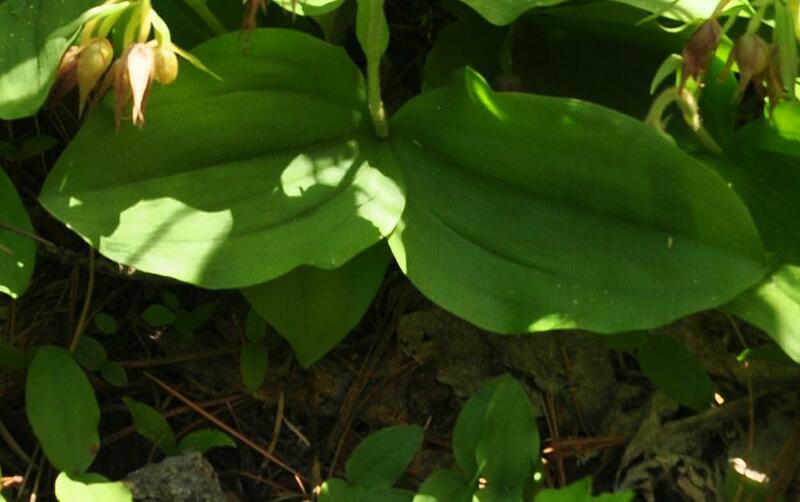 Cypripedium fasciculatum, the Clustered Lady's Slipper, is endemic to western North America and easily recognized by its drooping flowers clustered at the top of the stem. 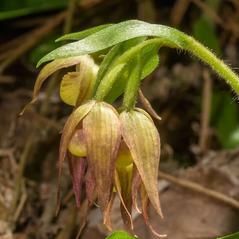 Flowers vary in color from greenish brown to purple to nearly red and the 2 rounded leaves that appear to be opposite are actually offset slightly midway up the densely hairy stem. 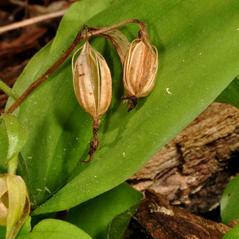 The seed capsules are also hairy and as they mature, the stem straightens out, presenting the capsules in an erect position. 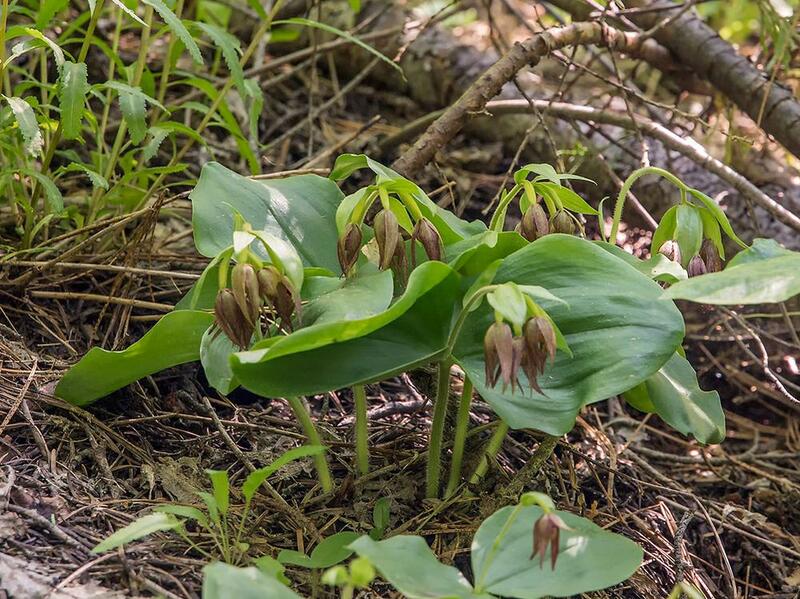 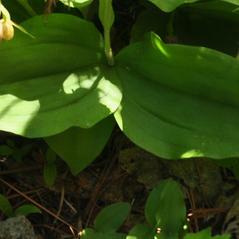 This dwarf orchid grows in moist to dry, cool, open coniferous forests, often near stream banks on fairly steep slopes. 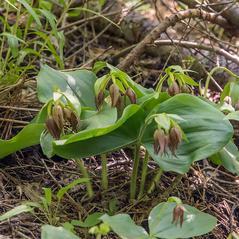 Cypripedium fasciculatum is apparently secure although vulnerable in parts of its range due to loss of habitat from logging. 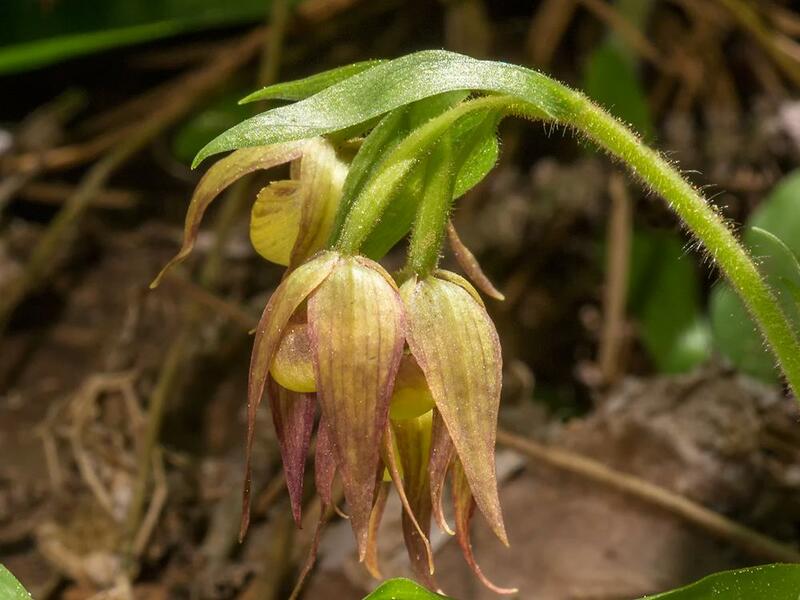 This orchid has been documented to be pollinated by female wasps in the genus Cinetus in search of fungus gnats. 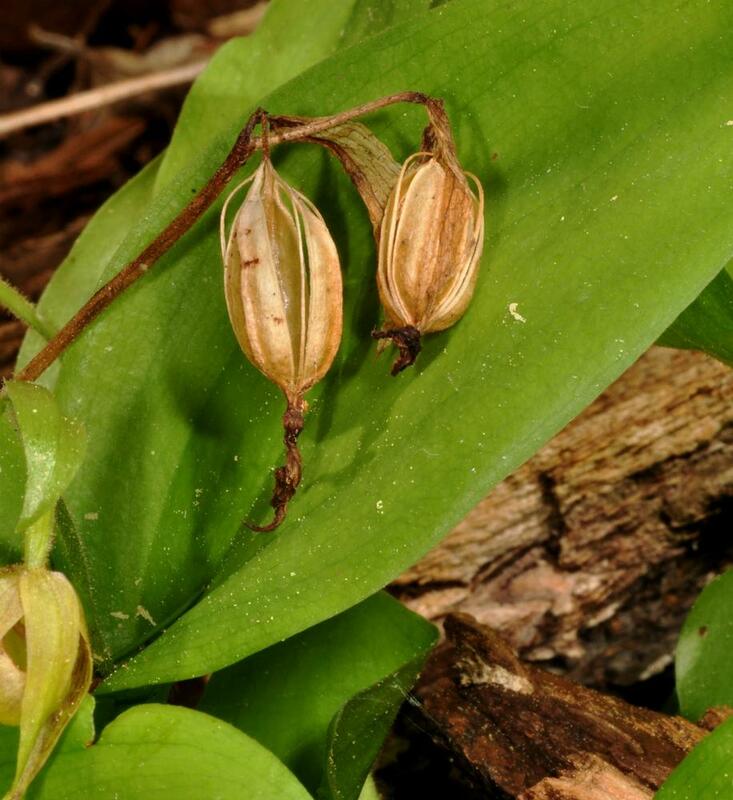 The wasp uses fungus gnat larvae or pupae as hosts and it has been theorized that the scent of this orchid mimics larval fungus gnats.